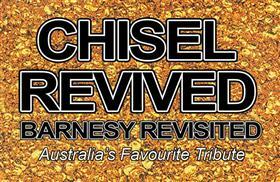 I saw a poster for Chisel Revived a few years ago and while I generally don’t go for tribute bands, I wanted to see them. Partner at the time didn’t seem interested so nothing happened. Wasn’t a big deal to be honest. I saw an ad for them in the local paper at a local sporting club (pokies, dodgy restaurant & state-enforced membership rules that no one can explain) and figured I’d give it a go. Bit of background for any overseas readers, Cold Chisel are probably Australia’s most revered band. They came to the fore in the late 70’s along with other bands like The Angels, AC/DC, Richard Clapton, The Divinyls (RIP Chrissie). Chisel were always a bit of a balancing act with lots of internal fighting but the combination of the talents really did bring something special and unique. Like many of the Oz Rock bands of the era, overseas success was not really forthcoming. A shame. Looked Chisel Revived up on YouTube and what I saw gave me confidence as they seemed to represent that particular moment (a decade really) in time well. Got my ticket and waited for the night. It was a small venue, with a lounge/restaurant layout. Not quite the tables around a sticky floor typical of the beer barns of the era. Not knowing anyone I settled against the wall. The band took the stage on time (I hate acts being late as is suggests they don’t care about professionalism). From the start the band get across the feel of the era well. The singer projected the drunken-Scot camaraderie of the real Jimmy Barnes rather well and even manged to somehow have a shirt that looked just like the real thing (I bet his Mum has sewed 10 of em). The Keyboard player looked vaguely enough like Don Walker. The Bass player was even a tad compact like the real Phil Small. Guitarist and Drummer didn’t look like their counterparts at all but it didn’t really matter. With such a legacy of songs every track was a winner. The crowd and I were enjoying ourselves. As a musician I was interested in their gear and accuracy of sounds along with the actual playing. They had good gear but there was none of the overt showing-off common with weekend warriors. They seemed to have what they used and used what they had. Was interesting to see the sound man walking around the room with an iPad and even iPhone to check and control the mix from wherever he stood. A cool trick that. Also on the subject of sensitivity, the guitarist was not quite the equal of Ian Moss. This is an easy enough situation as Moss is a very talented man with a beautiful voice and great ability to play guitar with expression and volume. This guy tended to make the common mistake of overdoing it. Not too many notes but just too much sound and not enough space. A great artist knows how to let the space be a large part of his playing, that very Zen way of letting the space shape the few brush strokes on the page. Also I wondered why in the intro to “Driving Wheels” he used a tape of the slide guitar intro as surely he had the chops to pull that off at least adequately. No one else cared and probably rightly so as overall whatever weakness the musicians had in technique or style were well and truly made up in gusto. After a break (and calling of the meat raffle) the band came back and did a collection of Jimmy Barnes solo songs. The crowd loved these. Irony is that most of these songs were very clearly written by and for Americans yet Aussies (who generally don’t like this sort of thing) took these even more to heart than the true Aussie Chisel classics. I guess these songs, including Jimmy’s almost barbarous take on Soul standards, are just so well written and performed they are impossible not to have a soft spot for. Shows that high-art is not the best way to the masses and Rock can only ever break that rule at its own peril. Hi-lights were in the some of the Barnes solo songs, the album track “Four Walls” which they did absolute justice in a goosebumps moment, the final song “Khe Sanh” did everything you could hope but when they then ripped the head off “Goodbye (Astrid Goodbye)” it just finished the night so well. If you ever get the chance to see these guys then take it as short of seeing the real band this show is well worth the price of admission.